I think I like the one feature in the second pic the best. I'm pretty boring when it comes to all the extra designs. I don't like how the abayas are so short on some of the models, I feel they are most elegant when they drape to the floor. 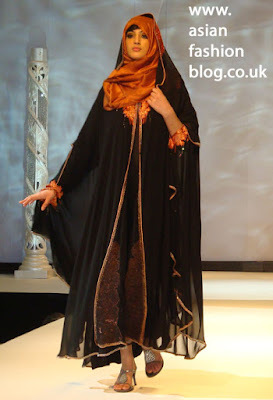 The Hijab Centre do some exquisite and Beautiful Fashionable Abayahs and Hijabs. 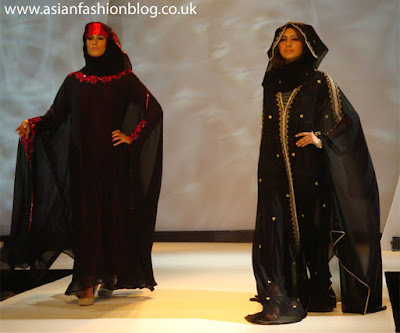 They have exclusive designs in Swarovski, Embroidery and the latest in Abayah Fashion Available. They also do exclusive Bridal Hijab designs and Jewellery and Accesories. They are based in Blackburn, Lancashire... in the heart of Whalley Range Bazaar. You can find them also on facebook by simpily searching Hijab Centre Blackburn.